The early signs of discontent and demand destruction could be forcing OPEC’s hand, but increasing production carries its own risks. 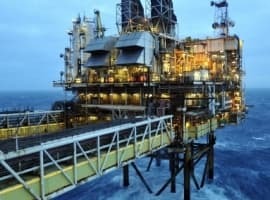 OPEC and Russia are considering raising oil production in a few weeks’ time, and while much of the focus has (rightly) been on the supply outages in Venezuela and the potential for disruptions in Iran, the prospect of demand destruction also looms large for the cartel and its partners. Oil forecasters had been predicting a blistering oil demand growth for 2018. But lately, those bullish forecasts are not looking quite as good, precisely because oil prices had climbed to their highest level in more than three years. For instance, in May the International Energy Agency revised down its forecast for demand growth for 2018 from 1.5 million barrels per day (mb/d) to 1.4 mb/d. 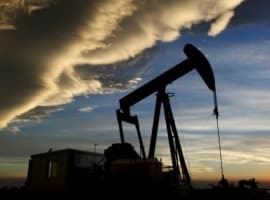 But a growing list of other signs should cause OPEC some concern, and might ultimately push the disparate members of the group into agreeing on higher output. That strike was followed up by an oil workers’ strike, which forced the temporary shutdown of a series of refineries. 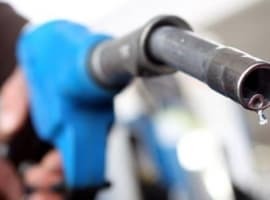 The workers, as well as the truckers and a wide swathe of the country, are outraged about the cost of fuel, and they demanded an end to the more market-based pricing for gasoline and diesel that was introduced several years ago. The return to a more government-controlled pricing mechanism, while better for consumers, is costly for the government and for state-owned Petrobras. The oil company has been digging out of a mountain of debt, and if it has to take on the cost of regulated fuel prices, it might have to pile on more obligations. Brazil is emblematic of the pain that consumers face when oil prices rise by so much in such a short period of time. There are similar signs of disgruntlement around the world. Bloomberg notes that there are plans or calls for changes to fuel prices in India, Thailand, Vietnam and Indonesia. The reactions vary in degree and approach, but across the world there is unrest at the rising cost of energy. These developments will not be lost on OPEC and its non-OPEC partners as they gather in Vienna on June 22. Keeping the production cuts in place for the rest of 2018, which has long been the plan, could risk overtightening the oil market, potentially sending prices up towards $100 per barrel. That would lead to much wider economic pain and conflict. Ultimately, high prices would destroy oil demand, a development that would likely backfire on OPEC. However, the flip side of this is that OPEC also faces risks if it decides to increase oil production. At the same time, the Wall Street Journal notes that investor confidence in the Eurozone is at a multi-year low, a reflection of the trade war that has erupted between the U.S. and the EU, as well as the political turmoil in Italy, which has put the common currency back in the spotlight. Zerohedge reports Trump asked the Saudis for one million barrels a day increase. I think the IEA's track record of underestimating demand has been well established, so take their predictions with one large grain of salt. As for Brazil, or any other socialist country (Hello, Venezuela? ), keep trying to pound that square peg into a round hole. Eventually you might get it in but it won't be pretty or fit right. But the overall theme of your piece, Nick, is good. Right now the global supply/demand picture is probably just about balanced and little tweaks one way or the other will be over trumpeted, over hyped, overstated by whichever side (bull or bear) thinks they have spotted a vulnerability. The oil price has to be high enough to warrant further supply expansion but discipline must be exerted by all producers (Permian Basin, are you listening/reading?) so as to stabilize a proper and fair price. Complacent and consuming -- that the sweet spot for oil consumers, from the point of view of oil producers? Oil will continue to be volatility priced and see all kinds of ups and downs. It's the nature of the beast. But what should we be doing about burning oil, long-term? Are there a variety of reasons we should purposefully slow oil burning and transition to more energy efficiency and clean energy? Or, do we want to continue to set our sights on a product that is not, and can not be, our children's energy future?